GetFi Plus is more than just your average mobile plan. We designed a platform that not only rewards our subscribers, but also inspires them to become an entrepreneur. GetFi Plus, the plan that keeps on giving! Carry forward your data balance with no expiry date. Unlock even more data every month for gaming, surfing and streaming. Transfer data to your friends and family anytime, anywhere. Introduce GetFi Plus to your loved ones and enjoy rebates every month! Use your rebates to pay for your phone bill and top up plans! 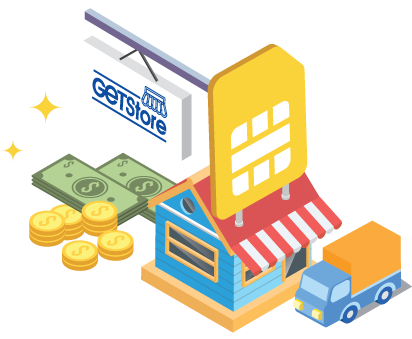 Build a business right from your pocket with GetStore and start earning today! *All of the above are subjected to terms and conditions. Starting an online business can be frustrating and tedious. There are worries about web store setup, product sourcing, warehousing, shipping, customer support and more. GetStore, a complementary product of GetFi Plus, eliminates all those hassles We assist you with most of the work so all you need to do is simply select, share, sit back and sell. Experience a much easier business startup as a Social Entrepreneur with GetStore*. *Subjected to terms and conditions. 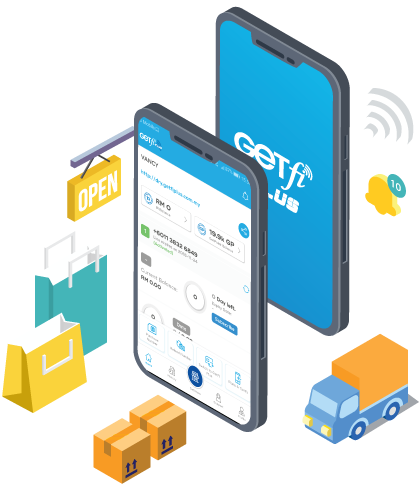 Subscribe to any GetFi Plus mobile plan to gain access to GetStore and start setting up your very own online business. Be your own boss today! Partner with big brands and populate YOUR STORE with their products. Sourcing for products to sell has never been this easy. The products are all shipped directly from the merchants so you don’t even need to worry about warehousing or product storage. Choose to resell products from numerous GetStore merchants. Easily cancel or add back a resell product to your store with just a click. Set your profit margin for each resell product in your store, based on the merchant’s retail profit, and determine your own profitability. 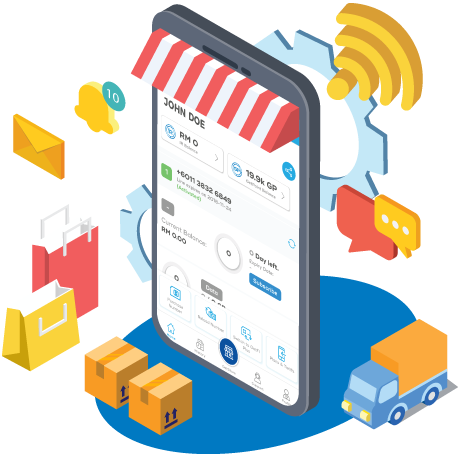 GetStore continuously brings in new products and merchants so you can expand your product variety with the latest and newest items. A fully integrated, trusted, safe and secure environment for all your payments. Feel safe when you shop and sell with GetStore. 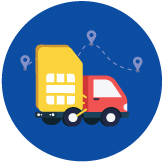 Shipping is never a problem because we will handle all the delivery processes for you while you sit back and earn. Our support team will handle all customer queries for you so you have more time for the important things – selling and making profit. Share your store link to your friends, family and social media to easily and quickly increase your customer base and store exposure. 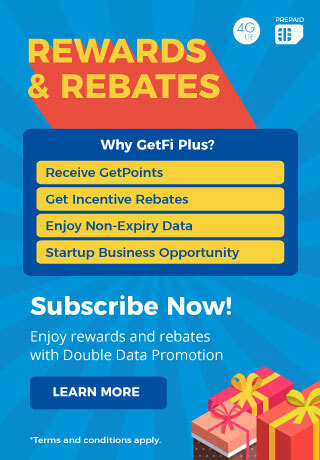 GetFi Plus offers non-expiry data, GetPoint rewards, Incentive Rebates (IR) and business opportunity through GetStore. Receive GetPoints (GP) whenever you refer friends and family to be a GetFi Plus subscriber. You can convert your GP into mobile data whenever you need more or transfer them to another GetFi Plus subscriber through our website or mobile. Your GetPoints will never expire as long as you remain our subscriber. Before switching to GetFi Plus, please make sure that your phone number is not under any contract and there is no outstanding payment with your current telco provider. Visit http://GetFi.com or download the GetFi Plus mobile app to perform your switch. You may also visit our GetFi Plus HQ and perform your switch to GetFi Plus over-the-counter (OTC). You just need your Malaysian Identification Card (NRIC) or passport to register as a GetFi Plus user. Once you have signed up with GetFi Plus, login to your account and click on “Purchase Number” to purchase your SIM pack. 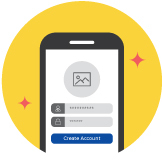 Yes, you can still make and receive calls, and send messages if you are not subscribed to a GetFi Plus plan, provided that you have sufficient credit balance. 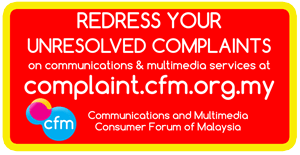 Yes, you may purchase up to a maximum of 5 numbers based on MCMC regulations. Yes, you can purchase and register your SIM card at GetFi headquarters if it is more convenient for you. 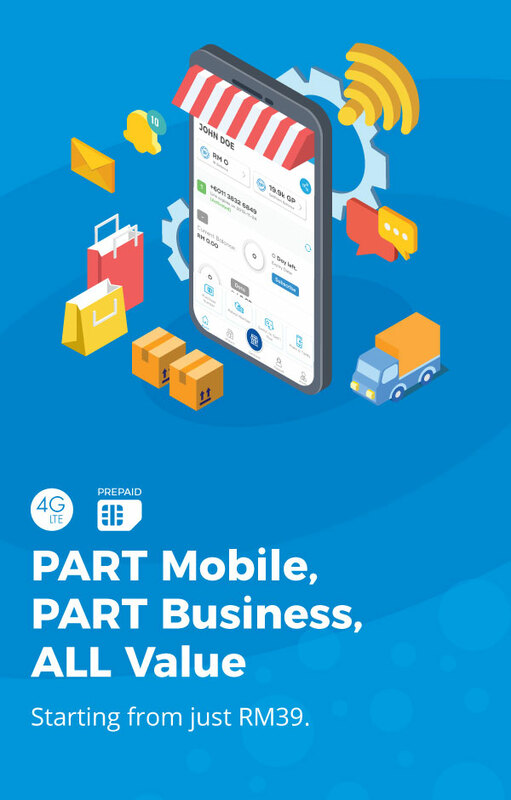 Get access to both GetFi Plus and GetStore when you download our GetFi Plus mobile app. Need more voice or data? 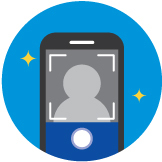 Top up your phone number with our wide array of Top Up plans. 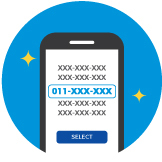 Reloading your phone number is so easy! Choose to reload via web, mobile app and more. *T&C Fair & Usage Policy apply. Copyright © 2019 GetFi Network Sdn. Bhd. (1187953-K). All rights reserved.